An appearance on a popular TV show has helped auctioneer Kruger Gibbons based at our Birkenhead site, to raise its profile and attract new customers. 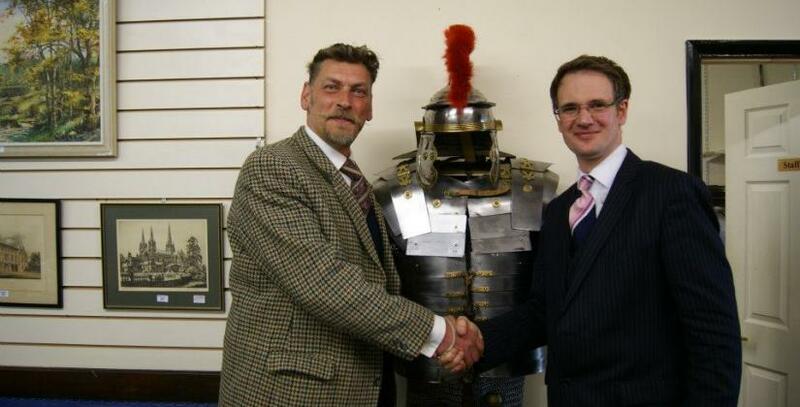 An appearance on a popular television show has helped an auctioneer to raise its profile and attract new customers. Our customer Kruger Gibbons Auctioneers and Valuers, based at our business centre in Birkenhead, featured in an episode of popular BBC show The Antiques Road Trip. Since the episode was screened on Tuesday 5th November, staff say they have seen an increase in interest from the general public. Debbi Kruger, Marketing Manager at Kruger Gibbons, says: “We have had a lot more people come in, both buyers and sellers. We always ask our customers how they found out about us and we have had quite a lot in the last few days tell us that they have seen us on TV. The episode of The Antiques Road Trip was the first time Kruger Gibbons had been visited by television crews. But the auction house is currently in discussions with the show about featuring in more episodes in the future. The programme saw antiques experts Charles Hanson and Christina Trevanion travel to Price Street Business Centre in a vintage Morris Minor to find a packed sale room. The pair then competed to see whose finds would make the most money at auction. We posted about this afer the filming in May - see the post 'BBC antiques date for Birkenhead customer'. Kruger Gibbons was founded by Lynda Kruger and senior auctioneer James Gibbon, who has plenty of television experience already having appeared on Flog It, as well as working as a presenter on Channel 4. The auction room holds general sales every Monday, as well as regular worldwide sales which are streamed live on the internet, and attract bids from all over the globe including Russia, America, Dubai and Beijing. The auction house opened at a business unit in our Price Street Business Centre, in June 2012. Our centre offers flexible business space including offices, industrial units, workshops and meeting rooms. For more information email Business Centre Manager Neil Williamson or call 0151 670 1553.